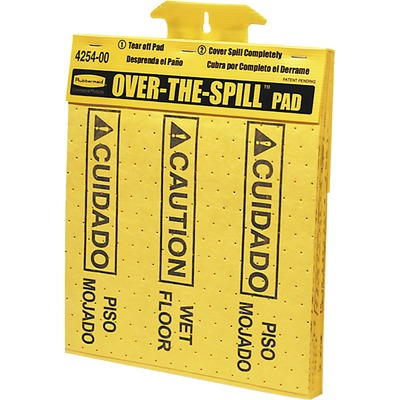 Over-The-Spill pads immediately warn pedestrians of a walking hazard in both English and Spanish while absorbing up to 12 oz. of spilled liquids, including water, oils and most solvents. Pads are made of polypropylene for added strength and absorbency. Pad tablet fastens to floor signs or mount to walls. Floor sign stands are sold separately.